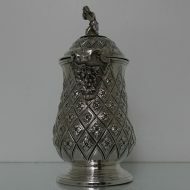 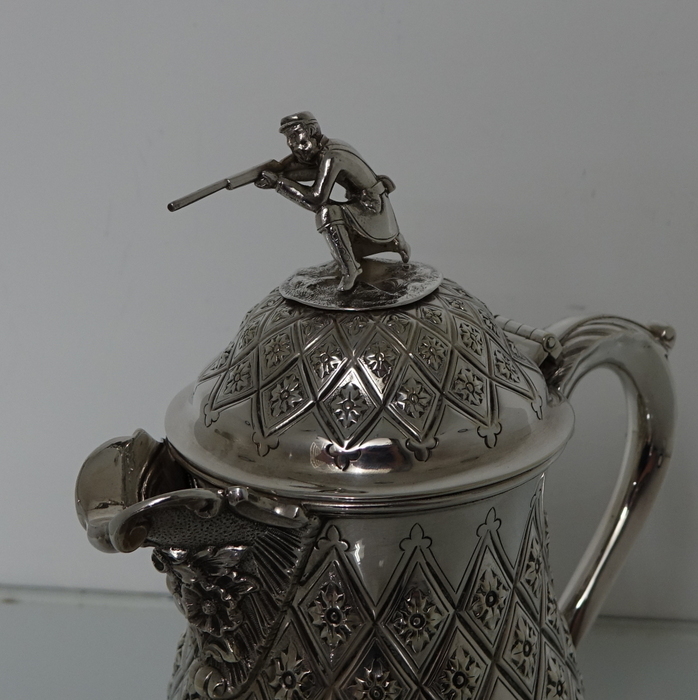 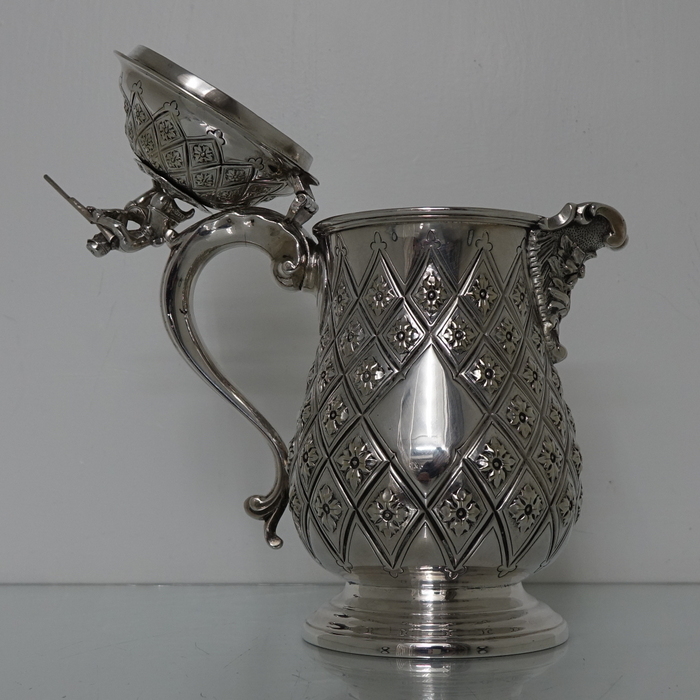 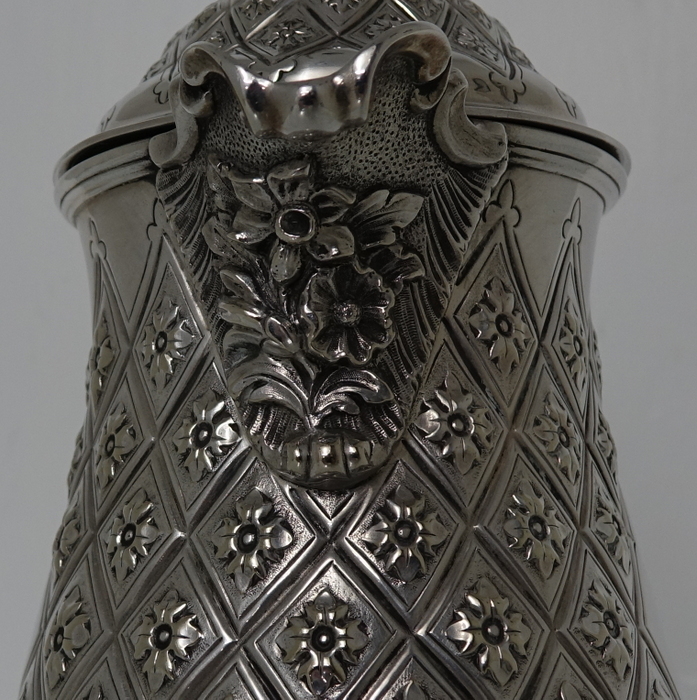 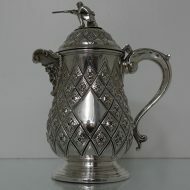 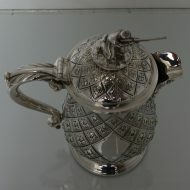 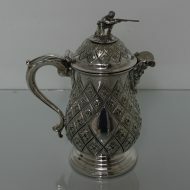 A very elegant Victorian plate Abercrombie patterned beer/wine flagon with single scroll handle. 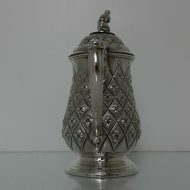 A very elegant Victorian plate Abercrombie patterned beer/wine flagon with single scroll handle. 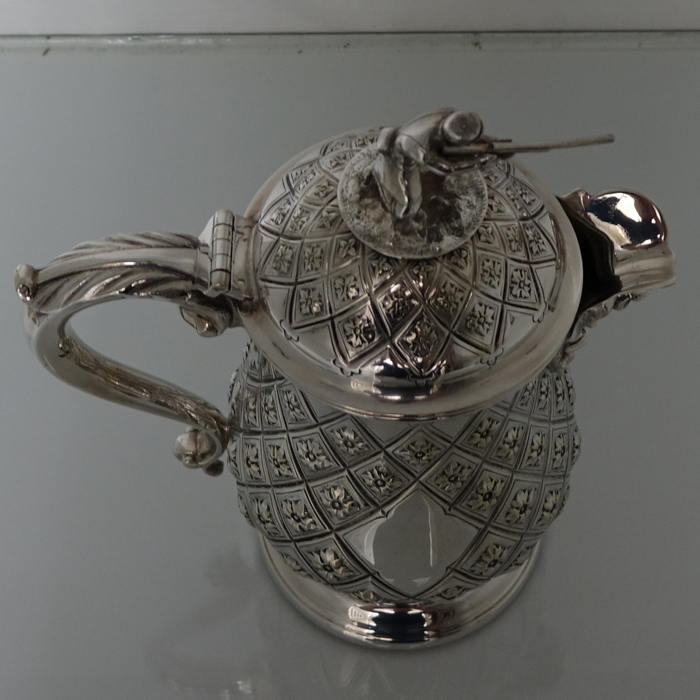 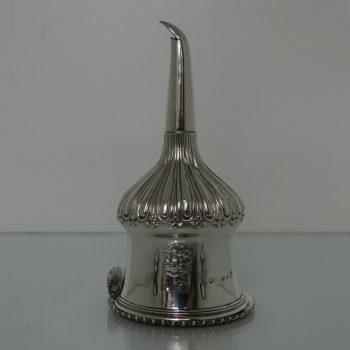 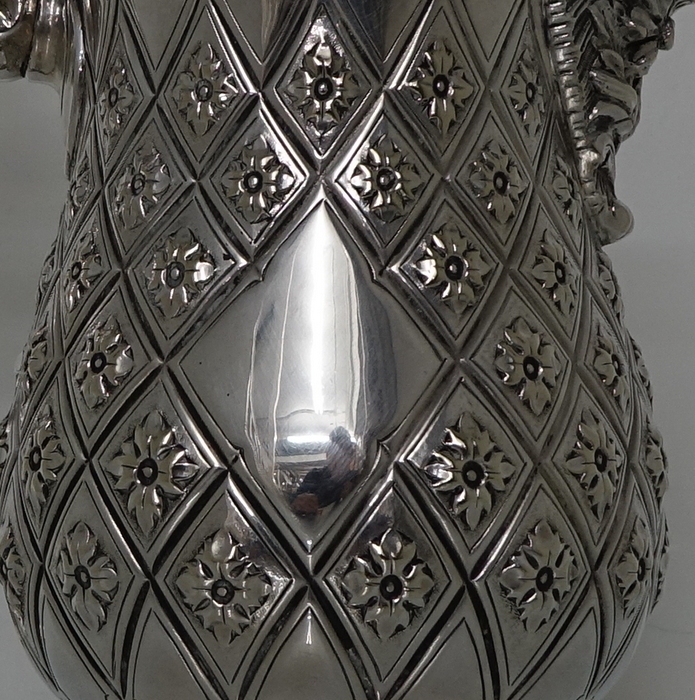 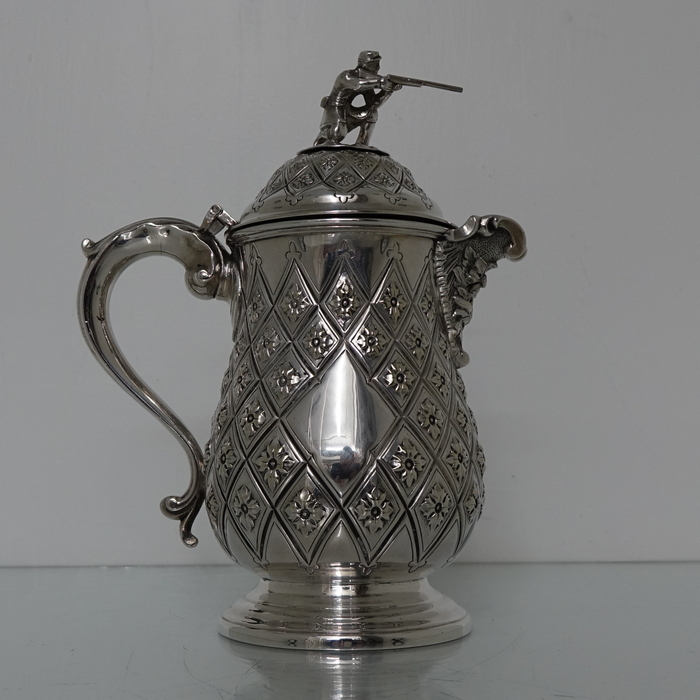 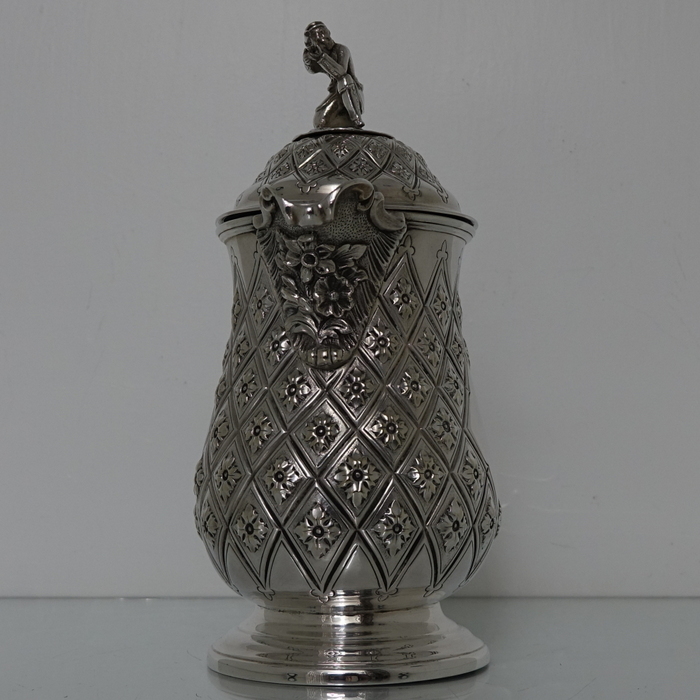 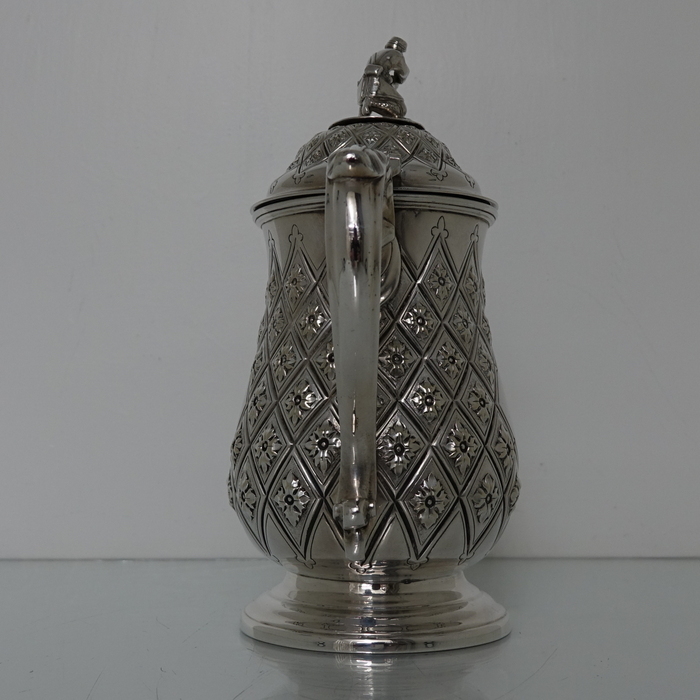 The body of the flagon has a very stylish diamond shaped double cartouche and is crowned with a domed hinged lid with a delightful soldier finial. Condition: Excellent throughout. 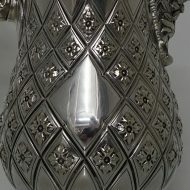 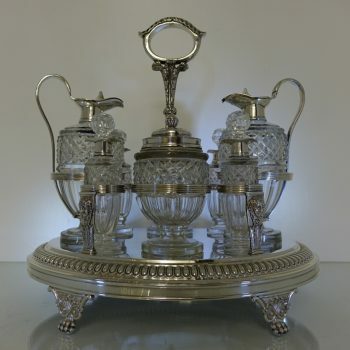 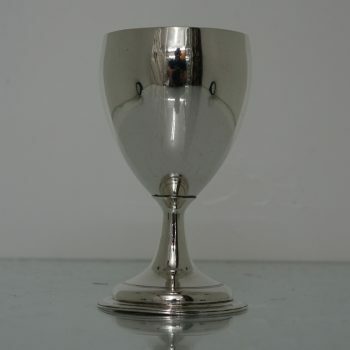 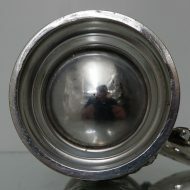 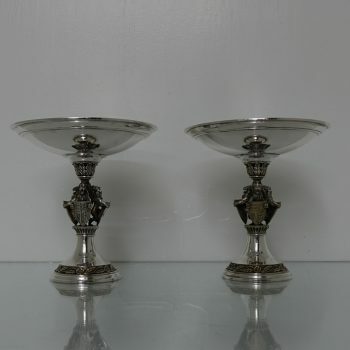 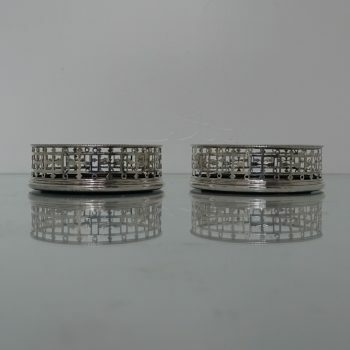 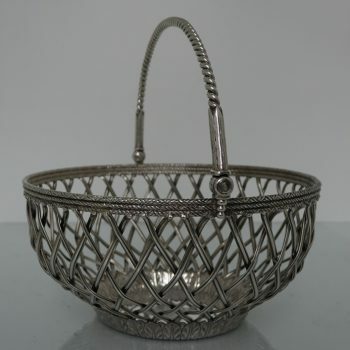 Original silver plate.